How to Uninstall Time Sink on Mac OS X? Home »	Uninstall » How to Uninstall Time Sink on Mac OS X? 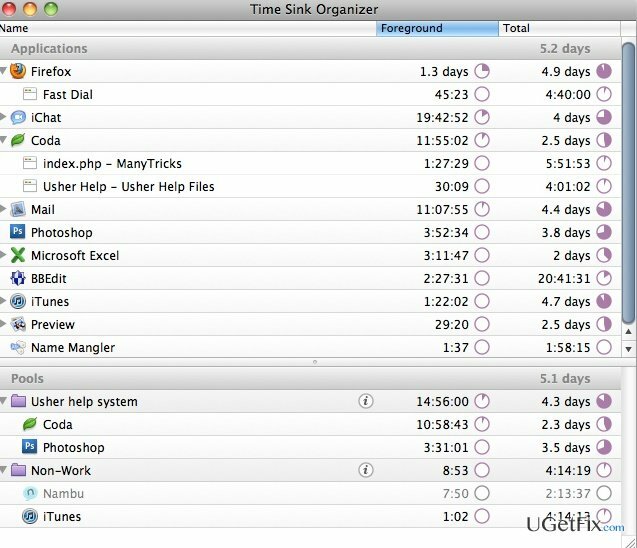 Issue: How to Uninstall Time Sink on Mac OS X? Hello! I need help removing Time Sink from my Mac. I think that it’s hiding some files because even after its removal I’ve accidentally noticed some of its leftovers. How should I find and remove all the components of this program? First of all, we want to remind you that to uninstall a program once and for all, it’s not enough to place it to Trash. Your question has revealed the fact that you’ve uninstalled Time Sink inappropriately. That’s why it’s components can be noticed all around system’s folders. Therefore, in this short article we will try to explain what have you done wrong and what you should do to uninstall Time Sink on Mac OS X once and for all. To start with, we would shortly introduce Time Sink application. The majority of its users appreciate and use it every day because it helps to make sense of the time that people spend on Macs. 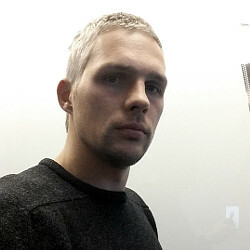 According to the developers, “Time Sink watches how you use your Mac, recording the time spent in each window and program — whether that be foreground or background time. You can view and export reports, exclude apps and windows, and group related tasks together into one pool, which is then tracked as a single object.” It’s not important why you have decided to remove Time Sink from Mac. The most important thing is how should you do that successfully, and we have a quick solution for that. The easiest way to uninstall any program on Mac is to use MacKeeper or CleanMyMac Mac optimization tools. How to remove Time Sink from Mac OS X entirely? Yes, any legitimate application can be uninstalled both on Mac and Windows OS manually. However, we want to say in advance that it’s not as easy task as most of the users consider it to be. Since it’s important to uninstall all related files and registries, you may spend a considerable amount of time checking folders on your Mac. By the way, the success of manual removal depends on your attentiveness because you may accidentally skip some unnecessary registries without being noticed and leave them installed. installation of new apps not permitted, etc. Do not stop here. The next task is to find all files that are related to it. The majority of the files should be located in /Library/Application Support/ and /Library/ Preferences/ folders. However, other places should also be checked. To save your time and make Time Sink removal as easy as ABC, we recommend using one of these programs: MacKeeper or CleanMyMac. Kaip išinstaliuoti Time Sink iš Mac OS X?